Seeing as my kids and I are absolutely obsessed with farms, we love Tanaka Farms. 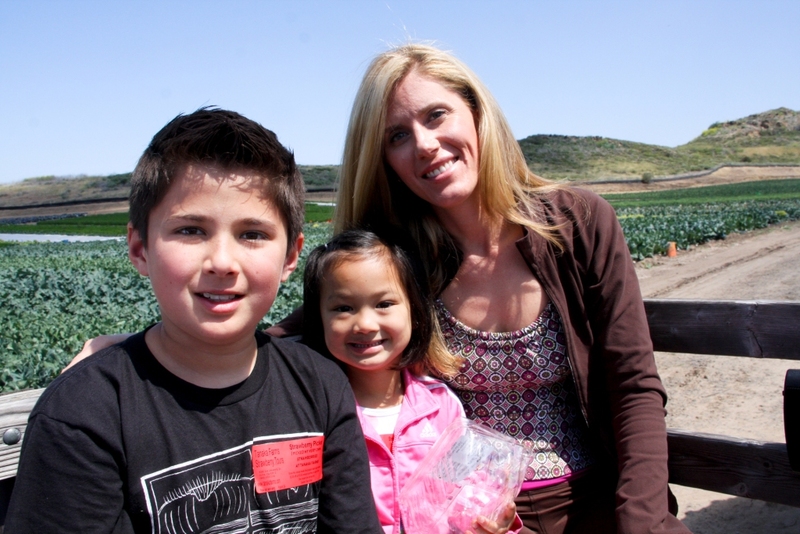 Tanaka Farms is Orange County’s largest organic farm consisting of 30-acres of beautiful farmland. Farmer Tanaka is a 3rd generation farmer and we feel so lucky that he is farming near us right in the middle of Orange County. Tanaka Farms produces fruits and vegetables for their produce stand (amazing) and their CSA (Community Supported Agriculture) program which is now delivering! 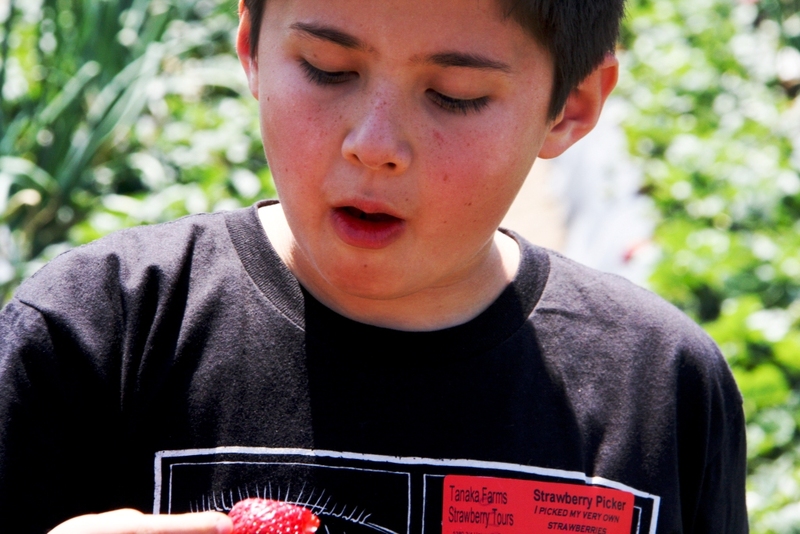 Tanaka Farms is most famous around here for the wonderful educational tours they provide throughout the year. They have Cookout Tours, Strawberry Tours, Watermelon Tours, Pumpkin Patch Tours, and during the holidays they sell Christmas Trees (not a tour). 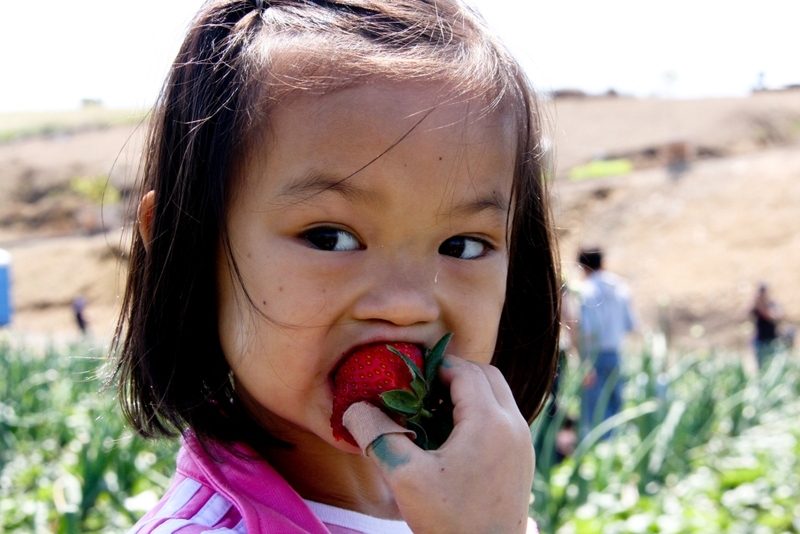 Every year I make sure I take the kids on the Tanaka Farms Strawberry tour. We get to go out on the farm in a tractor pulled wagon and sample produce along the way (carrots, sugar snap peas, baby Maui onions, cilantro). The tour guide teaches the kids (and adults) so many interesting facts about farming, i.e. 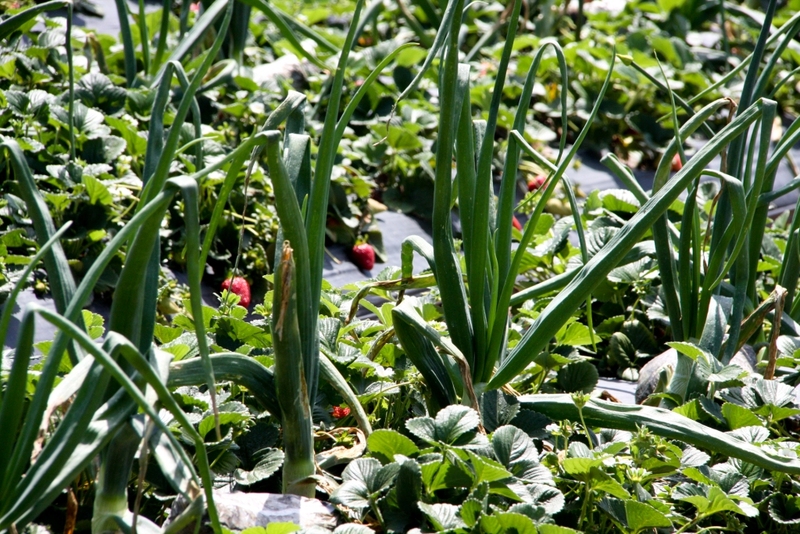 they plant onions between the strawberries as a natural pest deterrent. At the end of the tour we are set free in the strawberry fields to pick our own strawberries. While we can only bring home what fits in our strawberry basket, we are allowed to eat to our hearts content while out in the fields (two years ago I ate so many strawberries I gave myself hives…it was still worth it!). 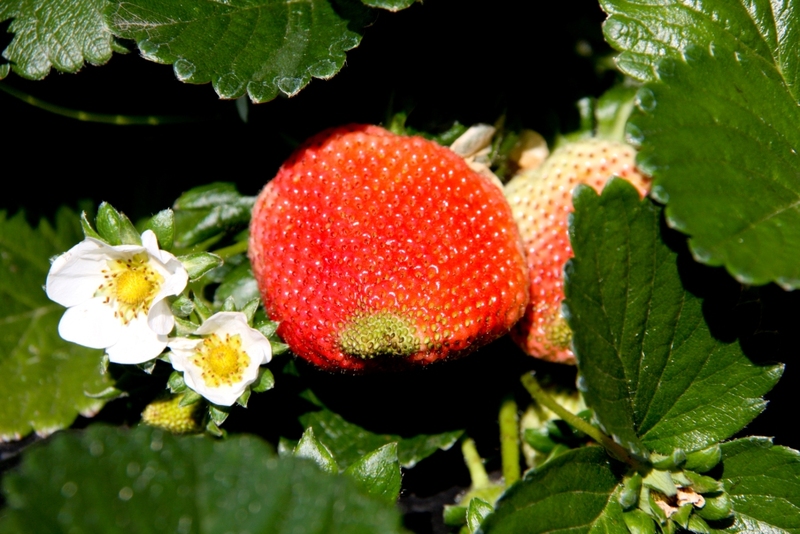 For more information about Tanaka Farms Tours click here. 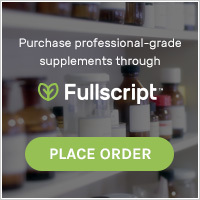 For more information about Tanaka Farms CSA program click here. 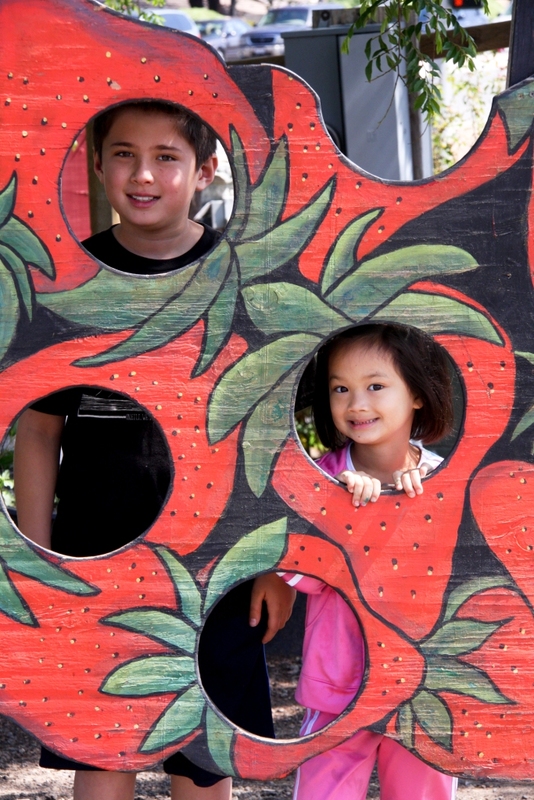 For more information about Tanaka Farms produce stand click here. Oh! The kids are so grown up!!! Adorable! Great pictures of you and the kids, definitely looks fun. Isn’t there a similar theme park, I guess it’s more commercial though, Knott’s Berry? We lived in SD for five years and so are just a little familiar with the OC. Of course, you may mean FL!